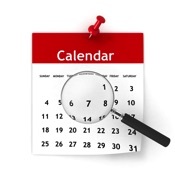 Throughout the year we hold special events for our members. 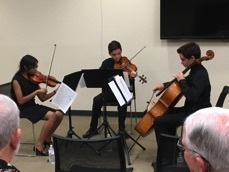 Past events have included the following performances: the Youth String Trio of the Long Bay Symphony, Bill Oberst & Lee Brockington reading Holiday selections, the Pawleys Island Concert Band, and Lee Brockington's Loving the Low Country. 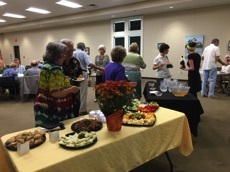 We also hosted a cocktail party for our members in celebration of National Friends Week. New events are being planned. 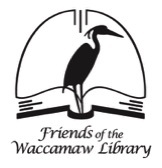 Our Members Only events are open to members of Friends of the Waccamaw Library. 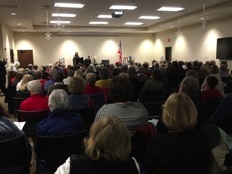 Non-members are invited to join at the Friends Center or at the door. 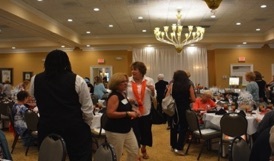 Thanks to Everyone ~ Donors, Members, Volunteers and Guests who support us wth your time and money.